Senior Dóra Antal scores five goals, leads No. 3 Cal to win over UC Davis. No. 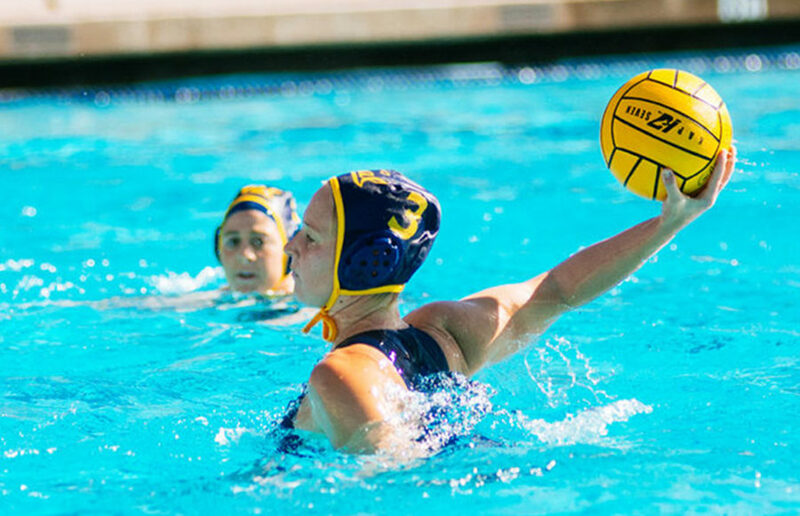 3 Cal women’s water polo has enjoyed an impressive group of underclassmen this season, but it was senior All-American Dóra Antal who scored five goals and led to 15-6 victory over No. 9 UC Davis. In a relatively easy finale to the regular season, the Bears (18-4, 3-1) pushed hard in the second half, scoring 10 of their 15 goals in the latter 16 minutes. Freshmen Kitty Lynn Joustra and Elli Protopapas — Simmons’ go-to substitutions this year — scored three and two goals, respectively. Senior Carla Carrega also chipped in two goals. Junior Madison Tagg recorded 13 saves for the Bears, improving her save total to 128 on the season. For the first time in three years, the Bears will end the regular season with a winning MPSF record — a record that includes impressive conference wins against then-No.1 Stanford, No. 4 UCLA and No. 6 Arizona State. The win against the Bruins broke a losing streak that had dated back to 2011. 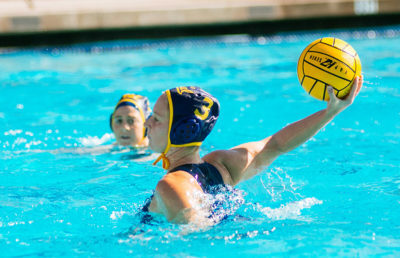 Cal was even able to obtain sole possession of the top ranking by the Collegiate Water Polo Association, which hadn’t been done since 2000. The Bears, however, were not able to capitalize on every opportunity. Cal was not able to defeat then-No. 3 USC in their high-powered clash, which would have clinched their first ever outright MPSF championship. “We need to continue to stick to the game plan and better our execution, especially on the offensive end,” Simmons said. Even so, the Bears will enjoy a first-round bye in this weekend’s MPSF tournament with the second-best conference record behind the Trojans. 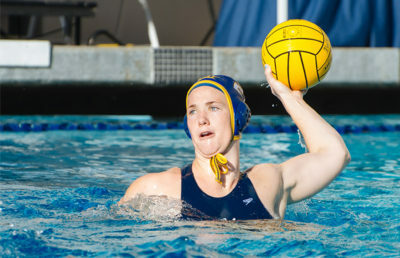 The tournament will be hosted by Cal at Spieker Aquatics Center. 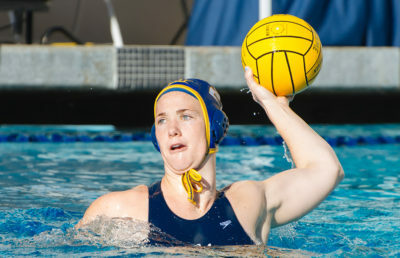 Antal’s flurry of goals against UC Davis improved her career total to 238, propelling her into a tie for 13th on the MPSF all-time scoring list. Antal also now leads the Bears in scoring with 41 goals for the year, while Carrega and sophomore Emma Wright are tied for second at 38 scores each. Although Antal’s 41 pales in comparison to some of her totals from past seasons — 75 in 2014 and 69 in 2015 — this year’s figure reflects a more balanced lineup that has been crucial to the Bears’ success. The Bears will open the tournament Saturday afternoon with a semifinal match-up against the winner of a match between No. 2 Stanford and No. 19 San Jose State.